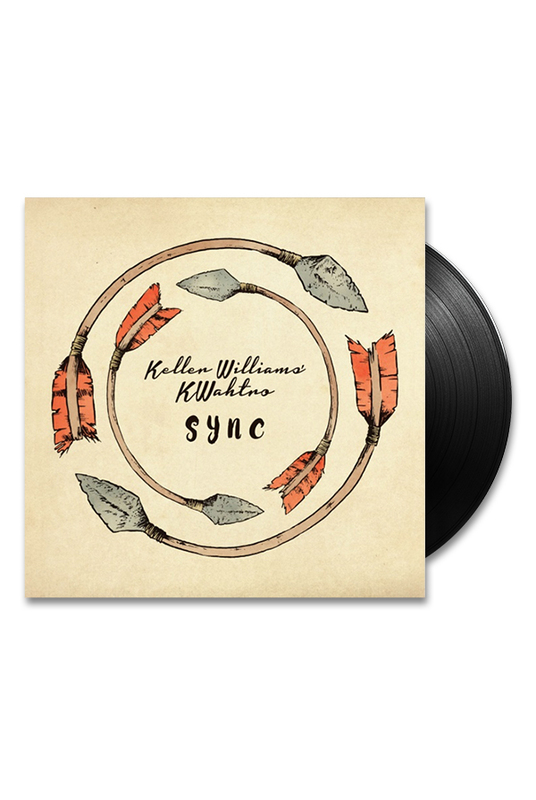 SYNC is a studio album created with the Keller Williams KWahtro, my four piece featuring Danton Boller on the fat upright bass, Rodney Holmes on the unfathomable drum beats and Gibb Droll and I talking to each other on acoustic guitars. We performed 35 live shows together throughout 2016 and somewhere in there we got the idea to record a studio album by sharing tracks back and forth with one another and the final result is my 21st album SYNC. We were four souls on acoustic instruments, in different head spaces, in different parts of the country yet we came together in SYNC to create an acoustic album that has me brimming with pride. Special guest spots include a track with Mike Dillon on vibes ( Whatchowantgurl ) and one with The Accidentals ( Hategreedlove ) who provide a lush string section. What began as an attempt at acoustic dance music has morphed into a type of acoustic acid jazz that draws on imagery in both the lyrics and the music. At least that's the way it feels to me. This record makes my arrows spin in SYNC.